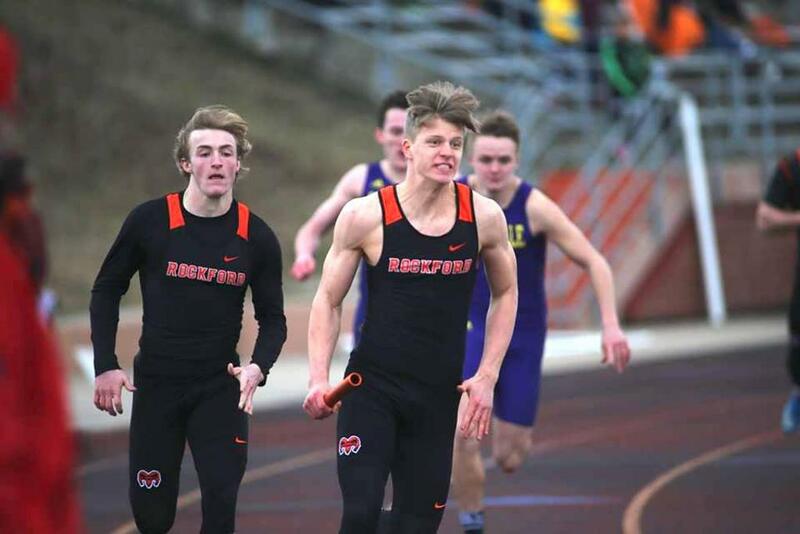 ROCKFORD – The Rockford boys track & field team played host to Greenville for their first meet of the 2019 season, Thursday, March 21. The cold weather didn’t seem to faze the Rams, however, with the boys topping the Hornets 85-42. The bitter cold and hard ground, however, did smother the Long Jump competition. 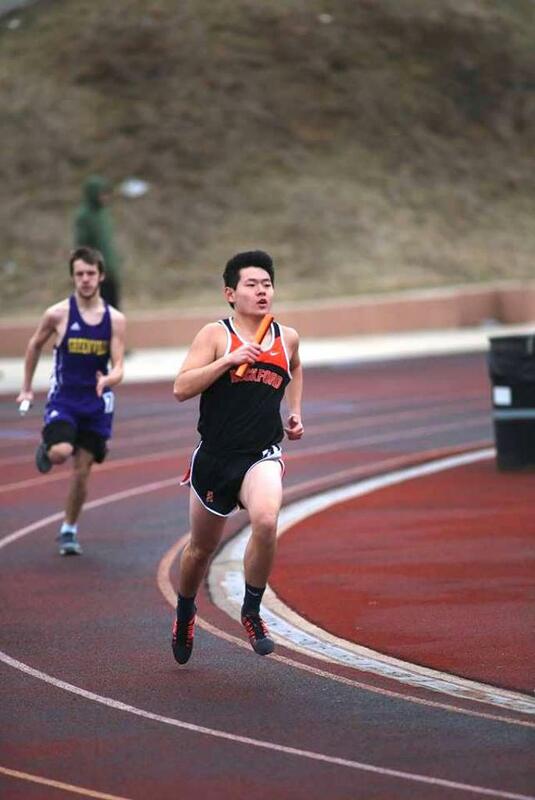 The Rams claimed firsts in all but two events, and showed depth in the distance races, sweeping the 1600m and 3200m runs. 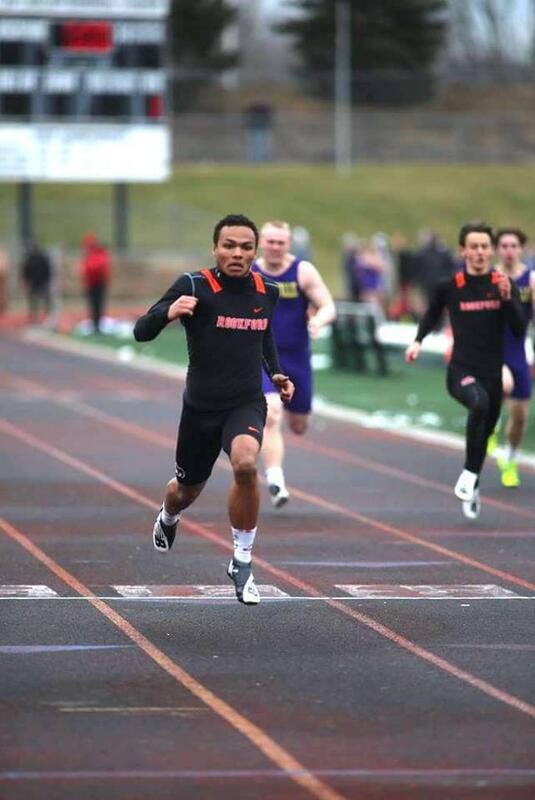 Ram senior Noah Stallworth showed he spent plenty of time during the offseason prepping for the 2019 campaign, claiming firsts in both the 100m and 200m races. 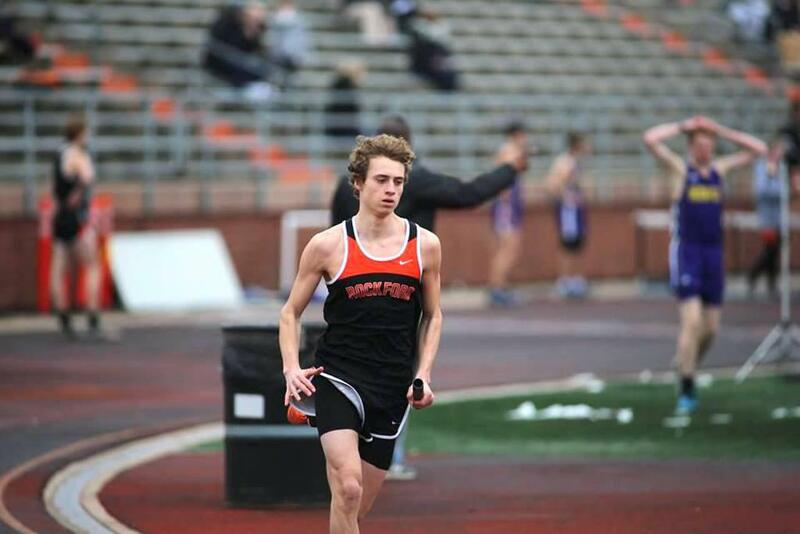 Judah Gustafson is also starting the 2019 season strong, claiming the 800m and 1600m races, and Jude Parks clocked in first in the 3200m. The Rams showed depth by sweeping all three relays on the night. Jacob Vega claimed the Shot Put competition with a Personal Record, and Aidan McNamara claimed a first in the Pole Vault. "We had a good start to our season," shared head coach Andy Martin. "The guys got their first opportunities to show some of their skills for the year. We were happy to be able to assess our strengths and weaknesses and be able to finally concentrate on improving them going forward." Top finishes for the Rams: 100m - 1. Noah Stallworth 10.89 3. John VandenHeuvel earned himself a PR, clocking in at 11.66; 200m - 1. Noah Stallworth 22.18, 2. Eli Haddad 23.77; 400m – 2. Luke Vanderwiel 57.26 (PR), 3. Grant Fales 1:01.08 (PR); 800m – 1. Judah Gustafson 2:14.07 (PR), 2. Jack Grimm 2:14.20; 1600m – 1. Judah Gustafson 4:55.21, 2. Jack Grimm 4:57.75, 3. Alex Fahey 5:03.72 (PR); 3200m – 1. Jude Parks 10:26.46, 2. Alex Fahey 10:46.42 (PR), 3. Kyle Sweeney 10:58.53 (PR); 110m Hurdles – 3. Cam Sawicki 16.20 (PR); 300m Hurdles – 2. Jacob Rademacher 45.28; 4X100 Relay - 1. Vanden Heuvel, Haddad, Schamel, Stallworth 43.80; 4X200 Relay – 1. Rademacher, Ike, Grimm, Vanderlaan 3:58.45; 4X800 Relay – 1. Smith, Jin, Roach, Harmon 9:01.11; Shot Put - 1. 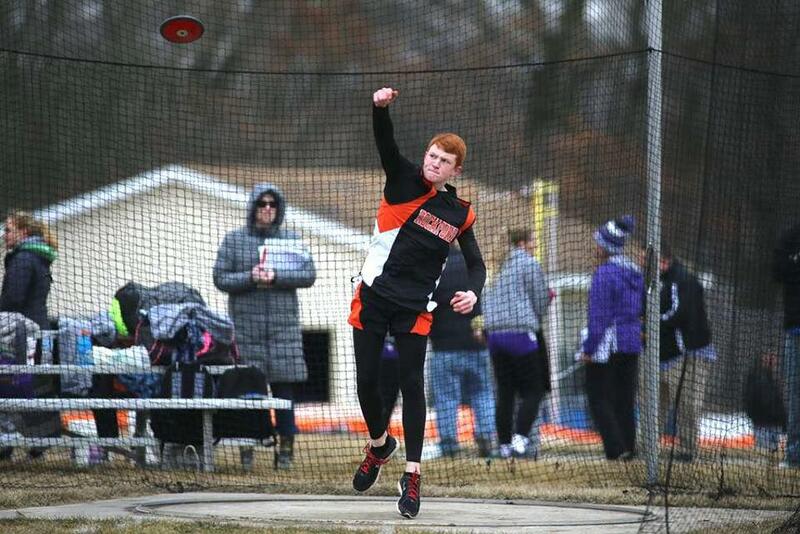 Jacob Vega 39-01.50 (PR); Discus – 2. 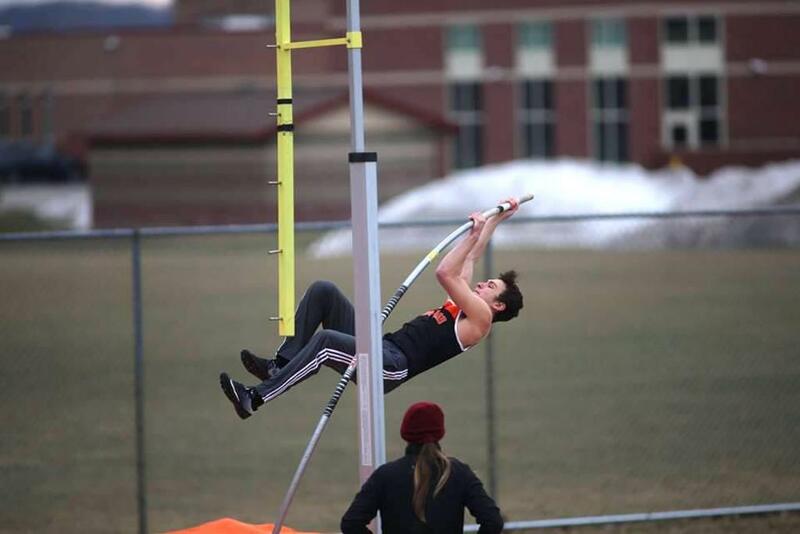 Caden Krueger 100-03 (PR); Pole Vault – 1. Aidan McNamara 12., 2. Zach Miller 11-06., 3. Logan Murphy 11-06. "As we have finally received some favorable weather, we can actually work on some technical aspects of field events and hurdles that we were unable to do before the first meet," concluded Martin. "We are looking forward to a fun year." The Rams will return to competition after Spring Break. They will play host to OK Red opponent Grandville, Wednesday, April 10. 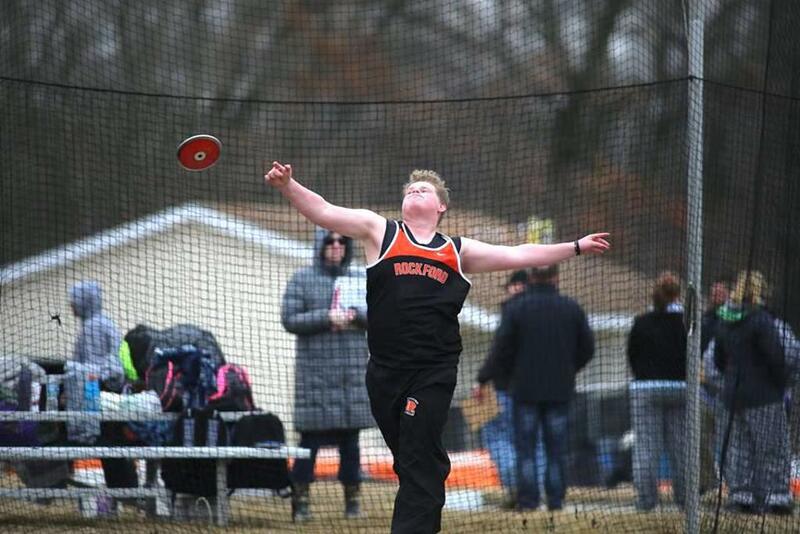 The first event starts at 4:30 p.m.
To see more Track & Field photos click here.